I’ve been thinking how some things have not changed significantly in Indian Country. 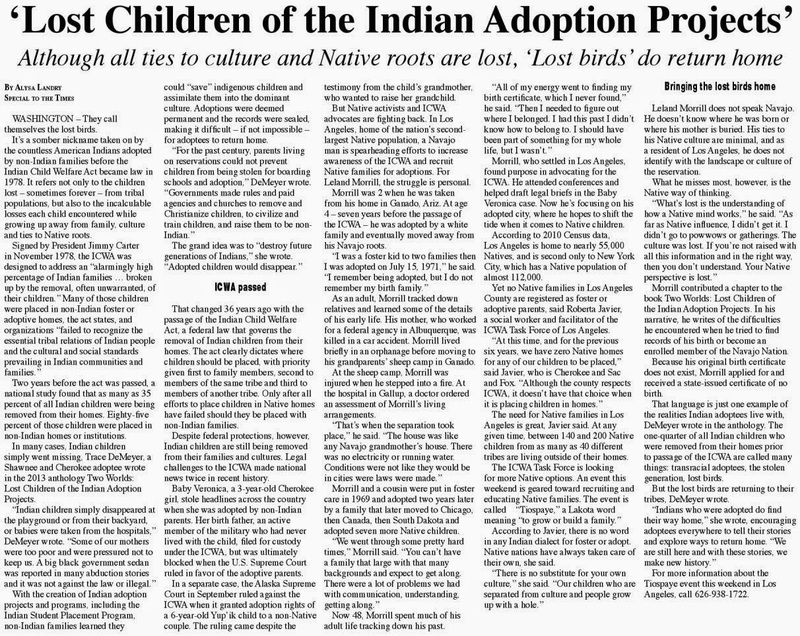 The following testimony happened in 1974, when Indian leaders decided to stop the wholesale removal of Indian children to boarding schools and for adoption to non-Indian families. Mr. Byler spoke eloquently to Senator Bartlett and Senator Abourezk about detribalization. The result was the Indian Child Welfare Act of 1978, which is meant to prevent non-Indians from adopting American Indian children. Senator BARTLETT. Do you feel that the boarding school removes some of the parental responsibility …that it creates a gap between the children and the parents, in which it makes the job of the parents more difficult and harder to achieve? Mr. BYLER. Yes; I think this is very much the case. In addition, I would say also we can really take the whole educational experience. 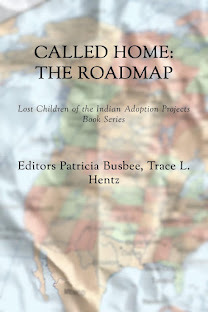 Dr. Edward P. Dozier criticized Headstart programs for some Indian communities on the ground that an Indian child has such a short time in his life to learn how to behave in his own environment, to pick up the cultural and behavioral patterns of his parents. It was bad enough to start school at five or six because that bobtailed the opportunity the kids had to learn this. Now with Headstart in some communities, that age is down to 3 years, so these preschool experiences denied the children the opportunity to learn how to function properly in their own society. And it demoralizes the whole functioning of families when those children who grow up in a boarding school become parents themselves and have not had the opportunity to observe normal child rearing. In some of the early poverty programs funded under OEO, Indian tribes asked for funds to train their teenagers to be parents because they didn’t know what it was like because they had been away in boarding school. Senator BARTLETT. What should be the structure for facing up to the emotional needs of Indian children and also in meeting the educational needs? Mr. BYLER. I believe that in terms of the educational needs, that would be contracting the Indian schools with tribes that wish to contract for those schools. Where the tribes have taken over those schools, and there are not many yet, the educational result has been dramatic. For example, in Florida the Miccosukees had never had a school at all, none of their children attended school until 1961 or 1962. They took over their school about 4 years ago and, 1 year after the tribe itself had taken over the school, the comparative educational achievements of the children improved by 50 percent. Dropout rates have dramatically been reduced in the Busby school on Northern Cheyenne, and the Rocky Boy school, both in Montana, since Indian tribes have taken them over. So, I do think that educational needs can be met more adequately by the Indian community controlling the schools themselves. In terms of the emotional needs, I think perhaps one of the most central things to the emotional life of the Indian family and the Indian child, is to remove from that family the threat that their children will be taken away from them. I think this is the most dangerous aspect. It has a far greater impact on Indian emotional life than any other single factor. 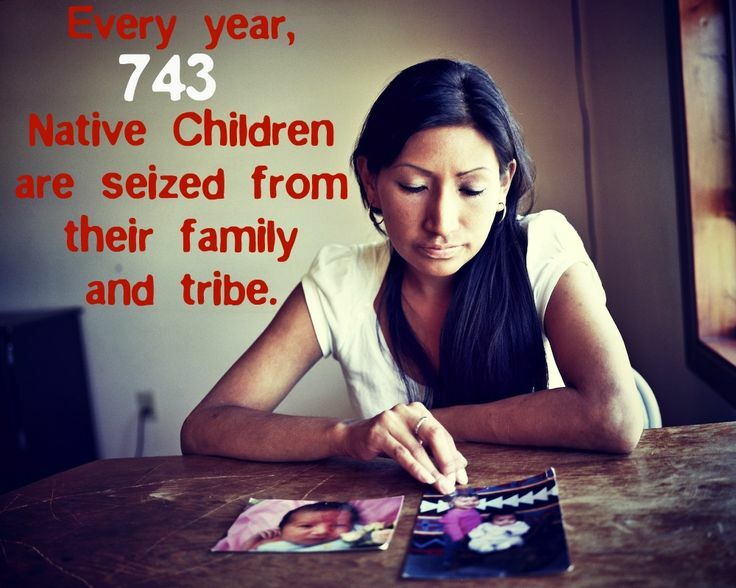 I think that in societies throughout the United States, and Indian societies, not all impoverished children or families suffer this kind of family breakdown. Among the Miccosukees, children are not taken from their parents, nor among the Coushattas of Louisiana; it’s unknown, the kind of breakdown that one sees in some Indian communities. It’s not because of Indian poverty. There are many societies in the world that are much more poverty stricken than the average American Indian community, but exhibit little or none of the family breakdown. I think it’s a copout when people say it’s poverty that’s causing family breakdown. I think perhaps the chief thing is the detribalization and the deculturalization, Federal and State and local efforts to make Indians white. It hasn’t worked and it will never work and one of the most vicious forms of trying to do this is to take their children. Those are the great emotional risks to Indian families. For adoptees that went through what I did, we look in a mirror and know something is wrong, yet we feel helpless to change it. 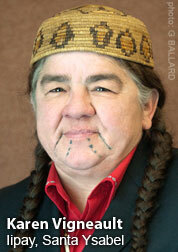 Who can discuss identity issues with you if you’re not a part of your tribal nation? 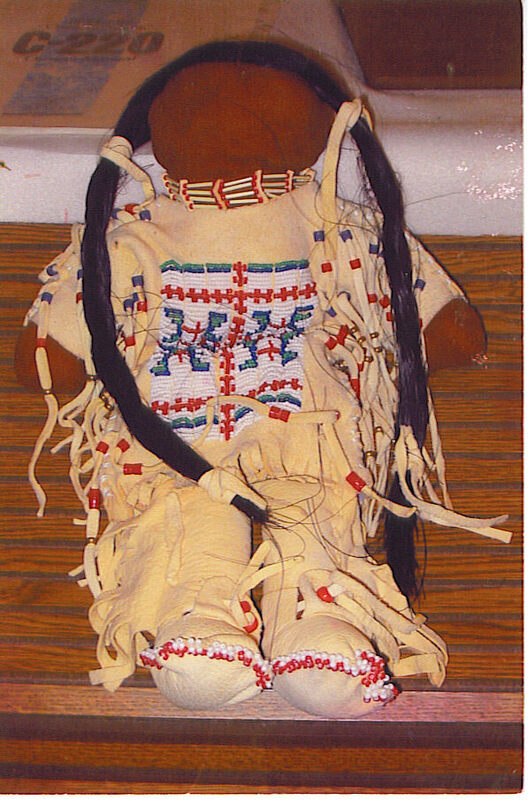 I’m troubled tribes are so busy surviving they don’t reach out and search for their lost tribal members, like adoptees. 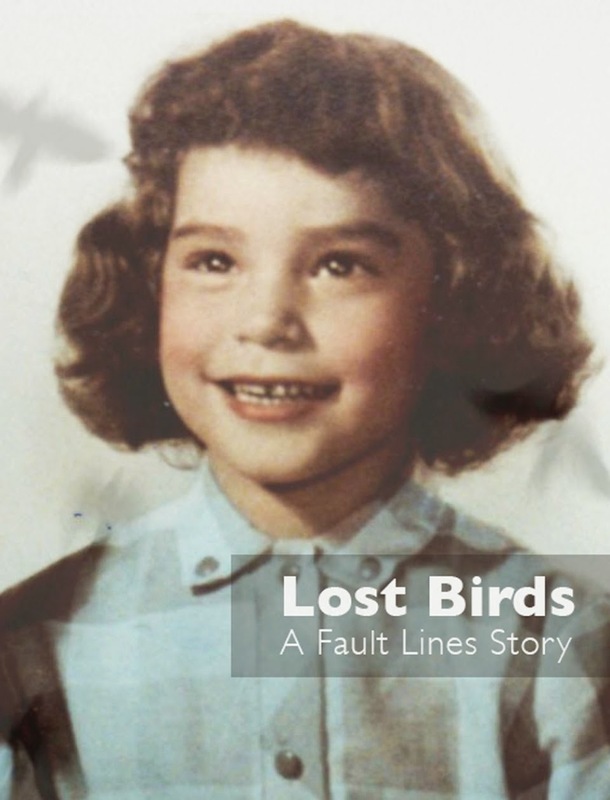 I am so troubled by this disconnect, I try to connect adoptees to each other since we share the feeling of being lost. Our grief can’t be healed until we’re united successfully with family, relatives and tribe. Many have succeeded. Many more are trying. I think what happened to the First Nations families and children was horrible. The way they continue to be ignored today is awful as well. My Adoptive Mother's great-grandfather and great-great-grandfather were taken from their homes and families and put in Carlisle Industrial Indian School to "correct" them and teach them the ways of the White majority. No one in the family ever talks about the Iroquois-Onondaga part of the family or knows very much about these ancestors. It took several generations in our family, past the Indian School, before there was a first high school graduate then college graduate. So much for "fixing." Instead, they harmed these individuals and these families and made life harder and the repercussions spread throughout generations to come.